Do you find it cherishing playing PC games anywhere and anytime? 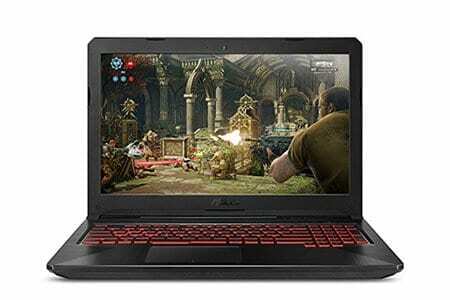 If your node positively, you need to purchase a gaming laptop which could fulfill the gaming desires in your mind. There may be dozens of the laptop which falls right on the criteria of a gaming laptop. But, it needs careful consideration to pick the best gaming laptop under the budget. If you can afford a big shot, a powerful gaming laptop, adorned with aesthetic extras can easily cost you $1000-2000. But, you are hunting down a good gaming laptop under $700. For that price, you can easily build the most powerful gaming PC with a decent gaming hardware specification. But, if portability is something you value, you need to spend this money to purchase a gaming laptop. 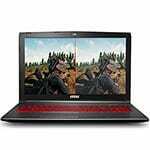 Gaming laptops are dime a dozen and $700 is the commonly cited price ceiling for a budget gaming laptop. But, the question arises where to look a good gaming laptop and how to get this done. For a tech geek, finding a good hardware specification gaming laptop would not be an issue. 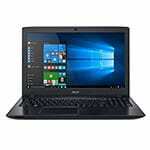 For an unfamiliar person, it would be hard to get hands on a good gaming laptop in the price segment. Do not worry; we are here to help you. We have compiled a segment of best gaming laptops under $700. You need to have a look at these gaming laptops. And after careful consideration, and after checking all of your right boxes, get the hands on a gaming laptop. These laptops not only provides you with high-ended games playing but the perfectly packed for business uses. And while purchasing a gaming laptop under $700, it would be wise to refrain from comparing these with big players in the market. The price matters a lot, and if you would have your eyes on the premium gaming laptops, you would not be able to buy any. For a budget gaming machine, you purchase what you pay for, as simple as that. What Are The Minimum Specs You Should Accept? For a gaming laptop sub 700 dollars, you need to check these specifications before shopping. (1) It should have Intel Core i5-7300HQ processor or Core i5-8300H CPU. (2) The machine should be powered with at least 4GB dedicated graphics card. (3) The RAM is a big player when it comes to the overall performance of a laptop; do not compromise on this aspect as well. And get to see at least 8GB DDR4 RAM. (4) The screen size should be at least 15.6 inches with 15.6 Full HD (1920×1080) resolutions. Now, let’s dive into the Top 10 gaming laptops in the range of 700 dollars. If you have been using Acer products you know that Acer always comes up with something out of the box. 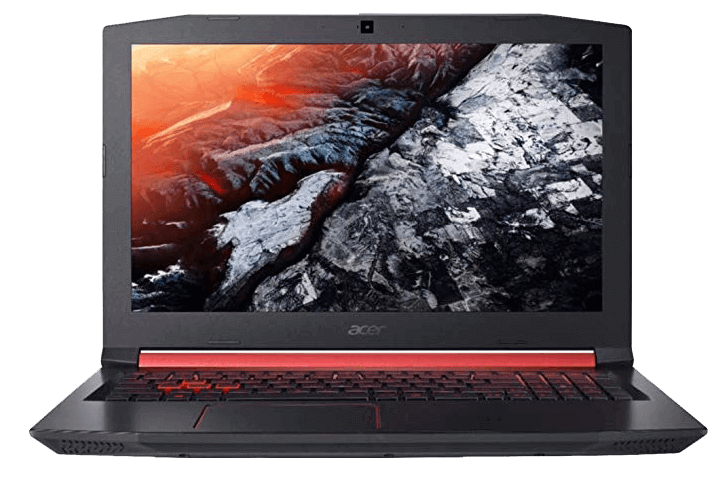 And this product Acer Nitro 5 exactly fit on the criteria of Acer and gaming laptops. Acer knows how to construct the best gaming machine with average price. The machine offers outstanding experience in a less price segment. And you would be surprised by the cutting-edge technology used to cope with the heat issues. Though, heat issues really hitting even premium gaming machines. But, with Acer, you will rarely see this issue as with the anti-heat technology used in this machine really works. With the first glance of this laptop, you would know this has been constructed for the gamer. This machine comes up with different configurations. The most affordable would be with AMD based GPU but we would like to recommend with Intel GPU with slightly expensive. This model engineered with a 8th generation Intel Core i5-8300H processor up to 2.3GHz clock speed. This processor can process anything you throw at it, without any single blink. With 8GB DDR4 memory and 256GB SSD hard (though storage can make issues if you addicted to store higher-ended games) instantly tells you this was what you were looking for. The cutting edge NVidia GeForce GTX 1050 TI with 4GB DDR5 memory would run any game with average-high settings. But, the latest AAA series might display some rendering graphics error, and which is obviously beyond the hands of this machine to control. This machines what I said has been constructed by having the gamers in mind. You can play the high-ended games with relatively average gaming setting to get optimum performance. The speakers of this machine will ask you to inject headphones to get better performance. The battery would not drain fast if you are getting the normal work out of it. But, with the high-intensity gaming hours, you would be ready to inject charger after 2-3 hours. You know the battery life of a machine totally depends upon the way you use it. I would say in plain English, Acer Nitro 5 is one of the best gaming laptops you need to consider for buying under this price segment. The weight makes it anti traveling gadget. Dell has earned its name in the mid-range gaming machines. And the reason why this brand swept offs the other brands from the root, this offer variety. In Dell Inspiron 7567 as well, Dell team has come up with four different colors and models. You can pick one out of four, as per your desire. The other hardware components also have ranges. You can choose as per your budget and requirement. This machine really offers something out of the box and targets gamers, normal users, and business users. So, this machine has become the top-selling mid-range gaming machine. And if you wanted to have your hands on the budget gaming laptop under $700, no other brand can compete for the versatility of this. This machine equipped with an Intel 7th Gen Core i5-7300HQ processor and 8GB SDRAM. Above all, the 4GB dedicated NVidia GeForce GTX 1050Ti GPU is a perfect choice. You would get smooth running of latest games with average to high setting. The screen size offered by this brand is 15.6 inches LCD, IPS HD display. You would have three USB ports and 256 GB SSD hard for better connectivity and fast retrieving and loading of the data files. The battery life though has some issues, and for a pro gamer, the battery drains swiftly during high-intensity gaming hours. And for normal users as well, 6-7 hours would be more than expected from the mode. The weight as well a faltering problem of the machine and this aspect as well could have been more improved. The Keyboard looks powerful, with numeric keypads and backlit. The trackpad however sometimes registers false touches, and sometimes does not respond on the touch. The dim display as well can make you annoy with the machine, the powerful performance would be the only reason this machine stands the test of the time. Finding a good hardware specification machine for an unfamiliar person would be near to impossible. For a pro gamer, AUSU TUF FX504 would be the one-stop shop. This machine has been engineered to help the gamers and business users alike. The features offered by the brand really stand out in the segment. And if you ask me for a pure gaming laptop, this is what you were looking for. This laptop is engineered with the latest 8th Gen Intel Core i5-8300H Processor with Turbo up to 3.9GHz. The attractive look of this particular laptop will make you fall for it instantly. 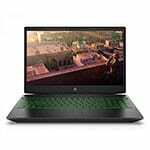 The gaming segment of this laptop is handled by 2GB NVidia GeForce GTX 1050 graphics coprocessor and 8GB of the RAM would make you run any game you want. The machine has earned its name in multitasking, and ITB of hard disk would make you store any AA series game you want with higher settings. One more thing, the hard disk is not a normal HDD, this is Fire Cloud Solid State Hybrid Drive which is 4-5 times faster than normal HDD. The entire black chassis look with the red combination is really a treat for the eyes. The dual fans and anti-Dust technology also something count before purchasing. It would not allow any dust to indulge in the hardware components, and dual fans would make you not face any heat issue for sure. This ASUS machine is 0.98 thin and weight is only 5.07 pounds which adds on value while traveling. So, ASUS TUF a perfect grab and stands out in the segment of laptops under $700 for gaming. 1TB Fire Cloud Solid State Hybrid drive is five times faster than the normal HDD Drive. The multitasking of this machine has swept off the rivals from the roots. 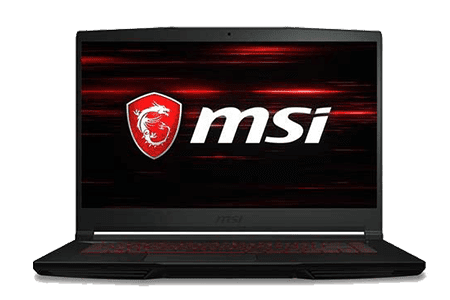 MSI Series is considered one of the top and famed brands when it comes to average gaming laptops department. This company put a value to the user’s life and has a wide range of different laptops. The gaming machines are perfectly tailored with the gamer’s needs and every component is fine to fit into it. MSI Gv62 8rd is one of the best affordable machines and has the potential to run various AA series games with high-performance settings. MSI Gv62 houses an 8th generation Intel Core i5-8300H clocked at 2.3 GHz and 8GB DDR4 RAM. The most importantly this machine boasts with 4GB NVidia GeForce GTX 1050 Ti Dedicated graphics. Though, this price range demands higher GPU than this. But, this machine can handle modern games such as God of Wars, Fortnite with average gaming settings. This machine featured with 15.6 inches HD LCD Display and 256GB Nvme SSD storage. Above you would see the outstanding SteelSeries Keyboard which has a track record of the most precise key inputs. The Audio quality as well would cherish you aside from the other features, Nahomi 2 Audio enhancer has something out of the box to offer. If you really think that a machine features with that hardware components can an under $700, you should have a visit to the laptop market. Still, you are getting a good gaming machine sub 700 dollar which is unique. The machines have one year warranty, and dual fan cooling will ensure that the Ti stays cool while playing games. With accurate visuals, nice processor, average GPU, Latest Anti-heat technology and splendid multitasking, this machine checks all the right boxes of your list. The downside of this machine would be the battery backup. In stretching gaming hours, you would not see this staying with you. And you will have to find a power outlet which definitely would halt an issue while playing games outside. For pro gamers playing from home, it would not be an issue. Dual fan cooling with anti-dust surely helps you a lot to take a long-run. You know dell is one of the most secured brands when it comes to competing in the budget gaming department. This brand has so many top-runner that it would be difficult to count on. 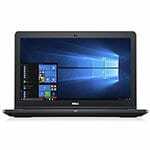 But, you definitely count this Dell Inspiron 5000 in one of the leading budget gaming laptops for $700. 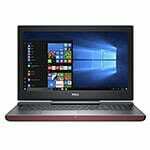 Like other machines powered by Dell, this as well has been adorned with the powerful hardware. The speed of the machine is cited fastest by the critics. Even the look of the machine fulfills its job to allure the users. From the first glance of this gaming machine, you would come to know that this particular creature has been built for gaming purpose. With Black chassis look blending with the red color Keyboard, add on with the hardware specification. This gaming machine sports 15.6 inches full HD Display, Anti-Glare technology, with LED Backlit. This machine land fine on the criteria of a gaming machine, and Windows 10 can make you feel slightly more comfortable. As you see you got the cutting edge operating system running in your gadget. This machine is powered with the latest 7th Gen Intel Core i5-7300HQ Quad Core processor clocked up to 3.5 GHz. The combination of this fastest CUP with the most powerful 4GB NVIDIA GeForce GTX 1050 graphics coprocessor and 8GB of RAM make it the fastest gaming machine listed. You would even be happier to see 1TB hard disk storage. It seems all specification, added on this particular machine has been installed after a meticulous consideration. This machine can run the high-ended games with average to high setting; you throw any game to it, and gets the accurate visuals on your screen. The laptop weighs at around 5.66 pounds, which is the downside of it, Of course, a bad traveling companion. The battery backup as well another downside, you cannot expect much from it. For a normal user, this can run only for 5 hours, and if you are going to get it along with you, and wanted to play games, do not forget to get the charger. If you want a gaming machine, and a stylish look at the same time, this budget gaming machine under 700 dollars a fine landing. Dell G3 machine has been engineered for the pro gamers. This machine has been equipped with all powerful hardware specification needed for running AA series games. Starting from the discrete powerful GPU to the Anti-Glare LCD technology, all features have been installed after meticulous research. This gaming machine has all features what are recommended by any pro gamers. Even the look of the machine would not disappoint you unlike other gaming laptops under 700. 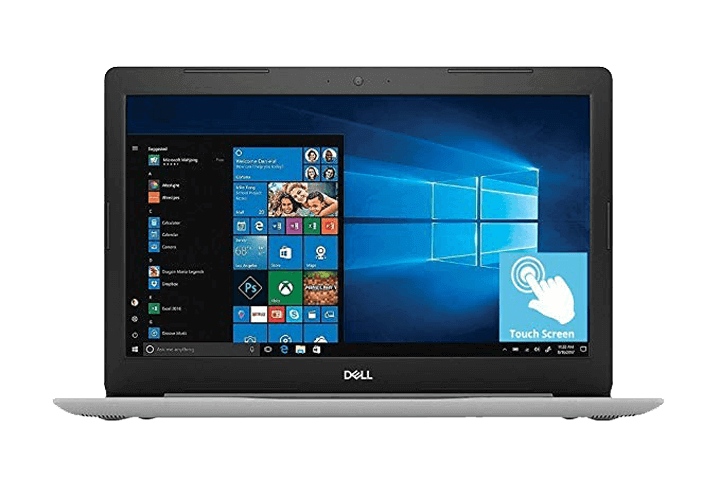 This machine has a black metal finished body with Blue dell logo; the look even makes this machine more attractive other than powerful configuration. 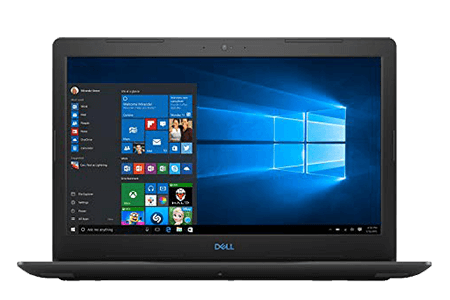 This powerful Dell Flagship gaming laptop sports at 8th Generation Intel Core i5-8300H processor with 8MB cache and turbo up to 3.9GHz. This machine has 8GB RAM with internal extended space, the RAM can be extended up to 32GB if required. The same pattern lies for the SSD hard drive. This machine has 256GB SSD hard and if you find it low, when you got money, can extend it to your needs. 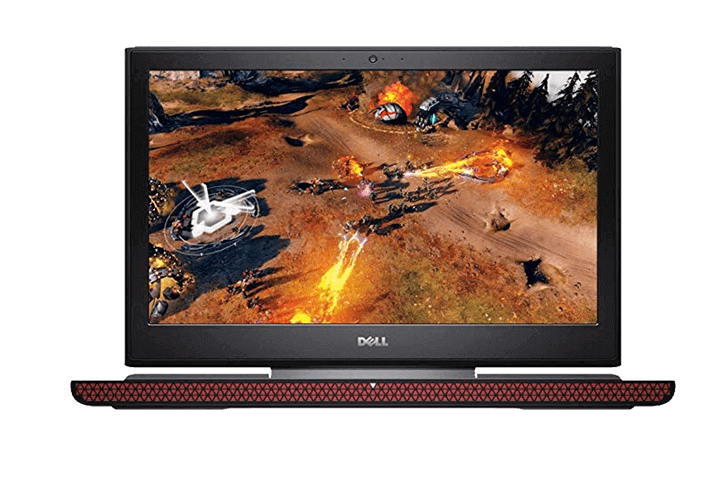 The G3 offered by Dell got NVIDIA GeForce GTX 1050 graphics with 4GB of the memory to support your latest high-ended video games. This machine comes with 15.6 inches Anti-Glare, LED Backlit, API technology supports HD LCD. The display of this machine is not going to annoy you, definitely, you will love the sharp visual offered by this with the wide-viewing angle. Dell brand specifically focused on the dual fans, Anti-heat technology, and Anti-dust technology, to give a boost to the overall life span of its machines. And this only technology has given an extra year to the machine, and life span has surprisingly improved. When it comes to speakers and Audio quality, no other machine can stand in front of the Dell. And same happens with G3, you would love to get the Front firing speakers of waves MaxAudio pro. The battery backup even got something out of the box to offer you. For the normal day-to-day tasks, the battery can run at least 7-8 hours, and for gaming sessions, it can last long for 2-3 hours. The 8th generation process can ensure the latest AA series games. Accurate visuals for high-ended games. MSI a big player in the gaming laptop market, this brand really has displayed some of the impressive branded laptops. If you want to purchase good gaming laptops under $700, MSI like a brand would be a perfect choice. This brand even has offered some cheap gaming machines. 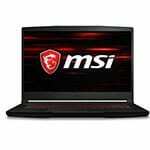 And if you are hunting for cheaper gaming laptops, must consider MSI brand. For a good gaming laptop, the ideal features would be the Airflow, dual-fan boosting and Anti-dust cutting edge technology, other than hardware components. This machine houses these all and offers you a better gaming experience than contending laptops. MSI GF63 features Intel Core i5-8300H 2.30GHz, with 8GB DDR4 RAM, and Solid-state Drive of 256GB storage. The combination of NVIDIA GeForce GTX 1050 GPU with 2GB DDR5 memory, with 8th generation processor, would wreak the havoc when it comes to playing AA series video games. Finally, we got a product what we can put in our lap; the innovative anti-heat technology blend with the Anti-dust makes you have full confidence in this machine. The machine equipped with 15.6 inches HD LCD API display, and 7 hours plus battery juiced up to offer unplugged productivity and entertainment. 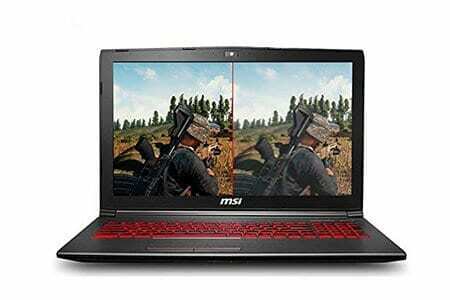 The accurate graphics, fine display, true to life IPS technology, better GPU experience blend to offer splendid gaming experience laptops under the price range of $700. Air-flow system, Anti-heat technology, Anti-dust technology really makes a difference. 8Th generation Core i5 processor makes you process all games without any hiccup. Let’s admit the fact that usually when it comes to purchasing a gaming laptop, most of the users do not consider HP a better brand compare to Lenovo. Lenovo gaming laptops have swept off the brands from the roots when it comes to purchasing a budget gaming machine. 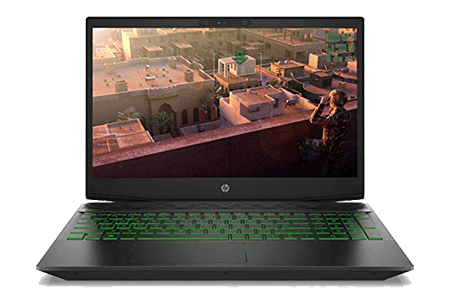 But, in 2018, HP revamped its gaming machines and came up with HP Pavilion. HP normally focuses on budget laptops with a normal blend of graphics, CPU, and RAM. But, this machine has specifically targeted the gamers, and really astonishes the big players with its higher performance. HP Pavilion 15 has a chassis black look with the green combination, a sober design of course. 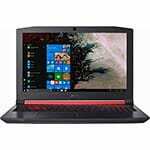 This $700 budget gaming laptop strikes 8th Generation Intel Mobil Quad-Core i5-8300H 2.3GHz up to 4GHz, 8MB cache. You will be amazed to see 8GB SDRAM, 1TB hard disk storage, and 4GB dedicated NVidia GeForce 1050 Ti graphics card under one roof, hands into hands and performing amazingly well. The styled backlit keyboard with numeric keypad, 802.11 Wi-Fi, and all connectivity ports juiced up to bring a superb creature. HP has a powerful sound system, and in this as well, they have offered powerful audio speakers which can fill an average room for sure. This machine sports 15.6 inches LCD HD Anti-Glare Backlit display features with IPS technology to offer you all colors from wide viewing angle. The battery backup even would not annoy you. This machine has 7.5 hours battery backup and you would not be required a power outlet within this mentioned time span. 4GB graphics card will surely take care of visuals. This particular laptop offered by Acer was not marketed as a gaming laptop. But, when you look at the mind-blowing features, you would see this gaming machine is capable of running lots of 2018 released video games, not all. Acer revamped this machine, specifically; the MX version of GPU has been replaced with NVIDIA GeForce MX150. 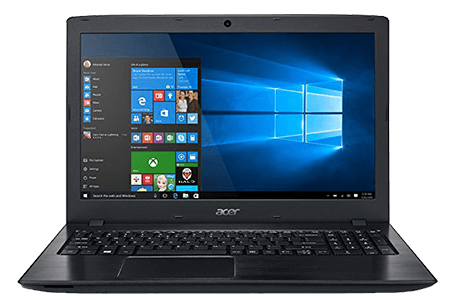 Acer Aspire 5 is a perfect partner while traveling, and relatively thin and lighter than a 15 inches laptop, the overall build quality of the machine is impressive, and you cannot expect this level of performance under this price range. The laptop has a normal port selection, but it does not support the Thunderbolt 3 but this you cannot expect from a budget gaming laptop. You cannot extend your 8GB RAM as no extra slot has been offered. But, for the hard disk drive, you can have an extra HDD hard drive if needed, but built-in hard drive supported by this machine is 256GB SSD. Unlike the Dell laptops, this machine has a brighter display and Gamut brightness is not bad. You will have a 15.5 inches LCD, Backlit display, IPS supported with 15.6 Full HD (1920×1080) resolutions. The CPU performance of the machine is beyond the imagination. Can you expect Core i5-8250U processor with clock speed up to 3.40GHz in the range of 700 dollars? Seriously, I was not expecting that powerful CPU and you will be blown away with the outstanding performance of this machine. Trackpad works fine, Numeric Keyboard, and outstanding GPU makes you have your games on this machine and enjoy at full throttle. When it comes to gaming laptops it would be really very hard to compete with Acer. This brand stands heads and shoulder above the rest the latest sales and positive word of mouth got the proof for that. 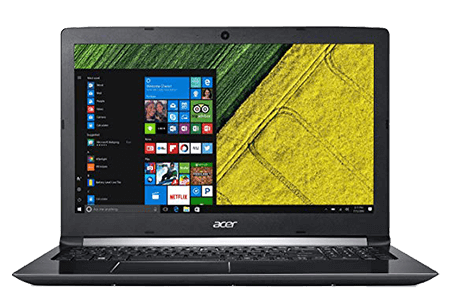 The company has revamped the Acer Aspire E15 models and specifications. Especially, this laptop offers a different GPU than the prior generation same series laptop. The performance of this machine has actually boosted, the accurate visuals will be offered now. The previous laptop was housed with NVIDIA MX150 GPU, while the latest about which we are talking equipped with GeForce GTX950M. This unique machine has more centered FPS rates and the game rarely frozen or halted. You would see a different machine with the IPS technology inclusion, LED Backlit Keyboard, with improved screen resolutions and better battery backup. Surely in stretched gaming hours, any laptop cannot run more than 2-3 hours, it totally depends upon the way you use a machine. In normal usage, 6-7 hours battery backup is promised and machine really delivered the same. You will have 8th Generation Intel Core i5-8250U Processor; you can expect a booted CPU. The games which are deeper CPU centric would run like a ship sailing in undisturbed waters. The RAM size though could have been more enhanced; still, 8GB can handle the AA series games, not the last one. And above all 2GB dedicated NVIDIA GeForce MX150 Graphics card makes sure no image or video get a rendering effect. 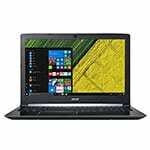 If you are not willing to spend some extra bucks, still want to get a better gaming machine, this laptop would be the fine grab. This machine ranges lower than the other contenders in this list, priced around 600 dollars would make you save some more bucks. Some user may get the disk storage disappointing, 256GB SSD hard is admirably a lesser space. For the gamers, 256GB would halt many issues, but the machine would retrieve and store the data swiftly. One more thing, 802.11ac Wireless connectivity will make you to instantly connect to WI-FI connection available. The one downside which makes the user annoyed with this amazing machine, the weight. This laptop weighs at 5.3 pounds and this thing makes it a hefty to carry on the shoulder. If you do not mind the weight and can adjust with it, go ahead and choose this Acer flagship. Weight creates an issue while traveling. What things make a good $700 Gaming laptop? You can have a good gaming laptop under this price range. Still, 700 dollar for a gaming laptop is not that much money. 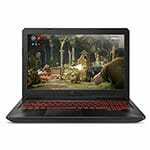 A good premium gaming laptop can cost you up to 3000 dollars, you can check the price of the latest gaming laptops. Still, with careful consideration, and detailed researched one will have a good specification holding gamine machine. 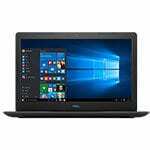 A gaming laptop under 700 dollars should be powered with Intel Core i5-7300HQ processor or Core i5-8300H. As it is very much necessary to have a good processor to run the latest games, if you do not have a good CPU, the entire system would work slow, rest aside gaming. And when it comes to GPU, the machine under this price segment should house at least 8GB dedicated graphics card. If you are not going to have a graphics card of this memory, you should forget running AA series games. As the mentioned graphics even cannot run the latest release games with high settings. And one thing vitally recommended to witness- the RAM size matters a lot for running video games, even for multi-tasking. For a good gaming laptop, the higher RAM size is as necessary as the breathing to remain alive. You would be able to have smooth sailing while playing games on your machine. Lower than 8GB would be bushing around. And you know how much important the screen size for the gamers is. Gamers would love to spend on this only feature, as games on the bigger resolutions amuse more. You can expect at least 15.6 inches LCD, IPS technology Backlit display with (1920×1080) resolution. And anti-glare technology inclusions will double the amusement indeed. Yes, one can play the latest series of games on a 700 dollar gaming laptop. Enlisted laptops, about all of them, have the potential to run AA series games. But, you need to take care of the heating issues and above all get the average video game settings. With high-settings you would get rendering graphics, freezing, and other issues. So, playing the latest released series of the games with higher graphics settings would create an issue, and you will have to endure this patiently or spend some more on the graphics card. Why we Pick these laptops? We have a team of researchers. We research a lot, read a review of each listed gaming machine, we check the ratings and after combining all of the features and aspect we add a laptop. Of course, we could be wrong..! But, these gaming laptops in our opinion are the best gaming laptops under this price segment. And you would find no better options than this. So, either go online check the reviews and rating by yourself. Or have faith in our posts, as we do not have any laptop brand until now.